Looking over Long Island on Google Maps, you might notice a few large turquoise colored bodies of water. Zoom in and you’ll find man made landscapes like this 55 acre pool of water in the middle of a residential neighborhood. What’s it doing there? While you won’t find a public beach or park along these shores, you will find established sand mining businesses that have grown over the last 40+ years to own some of the largest man made bodies of water on Long Island. But where did all that water come from? Over the years, Ranco, Roanoke and Coram Materials mined their sandy parcels, all located within the porous pine barrens compatible growth area, to the point where they were digging below the water table. This created what’s known as a Sandpit Lake, made up of what should’ve been fresh drinking water. If you’ve ever dug a hole at the beach and hit water, you’ve created a miniature version of this enormous pit. While it’s certainly unique, you have to wonder how much impact these sand mining operations have on our drinking water in one of the most porous soil districts of Long Island. I don’t know if you counted, but that was about sixty (60!) pee spots! While everyone knows NYC at large is disgusting, this is a very “well to do” neighborhood that could easily afford to hire someone to wash off the sidewalks every day, put dog poop bag dispensers around the park or, better yet, allow some of the rich neighborhood dogs and their walkers inside the park to pee in a designated dog park – the park would get infinitely more used and perhaps people could meet fellow neighbors there. Of course, that’ll never happen. What will happen is a constant flow (fitting word) of dogs excreting around the park. Most dog poop is cleaned. Pee is the real issue here and one that the entire city faces. 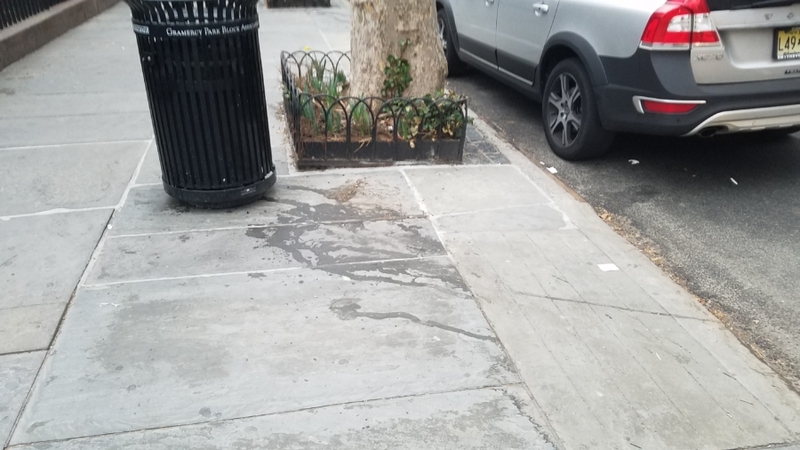 For Gramercy Park, since the slate sidewalk seems to hold liquid more than other kinds of pavement, perhaps residents with dogs should start bringing a bottle of water to dump after their dogs pee to wash it away. As summer approaches, I kind of wish that all NYC dog owners start practicing this habit too. While good looking, the problem with their belts is that they wear/crack almost instantly around the holes. I had only worn the black belt for a few days by the time I took the above pictures and contacted the company. Honestly, I’m just going to keep wearing these belts until they break but I certainly can’t wear them anywhere nice. Hopefully the company makes better belts in the future because I do like their style and their prices were cheaper than other cork belt companies that I came across. This might not be my most popular post but I haven’t found anything that demonstrates the possibility of doing this – especially with a dashcam/aftermarket head unit in a car. Hopefully it’s helpful to someone! The issue I had was that I already wired up a reverse camera (3.5mm) to my Rexing V1P dashcam and my new Sony XAV-AX100 headunit had an (RCA) input for a reverse camera. I didn’t want to have two cameras off the back of my car so I attempted to split the feed. As you can see in the photo above, the 3.5mm aux cord comes from the camera (to the right) and a female 3.5mm aux to male RCA converts the digital feed to analog. Then, I used an RCA coupler to connect the white RCAs and a female RCA (yellow) to the red. 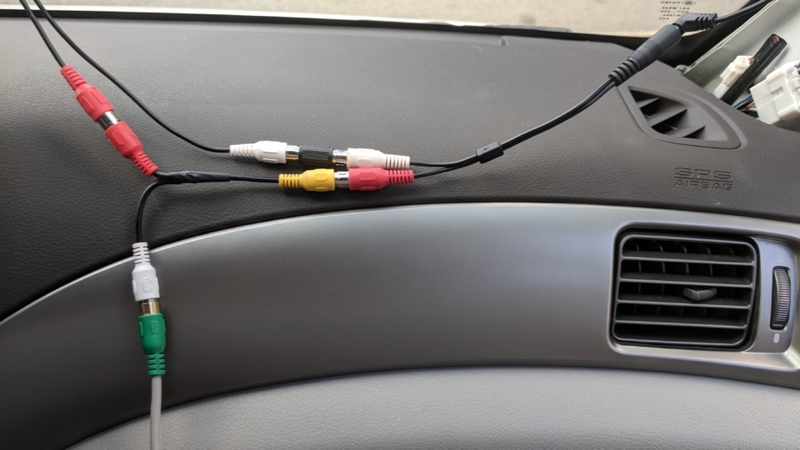 The female RCA wires are then stripped and split so that one can return to the head unit and the other can complete the circuit to the dashcam (another aux to RCA cord). I have no idea how this works but I was also able to make this work with a headphone splitter. One headphone split side went right back to the camera and the other converted to RCA and one of the two RCAs worked as the video feed. So, this might end up being a trial and error kind of thing for you but just know that it IS possible to split a digital camera feed to RCA! Waze recently released its custom voice feature, allowing anyone to record their own voices to use for their GPS. The best part? They’re shareable! Searching for the perfect voice, I went through every Waze voice I could find (there were 45 at the time of posting) and rated them on how funny they were, how long you could realistically listen to the voice, and how good the audio quality was. Then, I summarized my comments about the unique features of each voice and provided the link to download the voice yourself. The voices are sorted by overall review score. Remember that my scores and summaries are my personal thoughts – You might absolutely love the voice I scored the lowest! 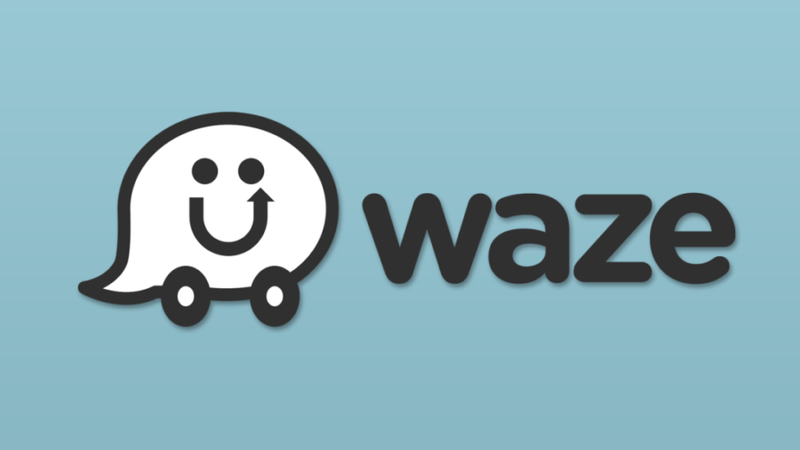 Have you recorded a Waze voice that you’d like to add to the database? Leave a comment below with the link to the voice and I’ll give it a review and post it here! In a timely decision to reinvest in the United States, Kimco completed its divestment from Canada and Mexico to focus solely on its US assets. The goal, as described in its long term strategy plan, is to create “high-quality” properties located primarily in major metro areas. As shown, Kimco completed it’s strategic four year exit from other countries as of this quarter. Charts: Kimco’s divestment from other countries, which accelerated starting in 2013, has just been completed this quarter. Though GLA (gross leasable area) has decreased, Kimco’s goal is to manage only “high quality” properties with low vacancies and high density regions. Shedding its foreign properties allows the company to avoid currency fluctuations, foreign political turmoil, allocate management to key metro areas and avoid any new taxes/tariffs put in place by the new administration. “We applaud steps KIM is taking to simplify its business model” said S&P analyst C. Seifert, who was impressed with Kimco’s efforts to reduce its exposure to certain overseas markets and joint ventures. While the company’s ambitions are clear, the it still faces many challenges during its transformation. First, the company must carefully redistribute the funds from the sale of its final foreign assets. Closing out 2016, the company sold off its final three properties in Mexico, one in Chile and 27 in Canada, generating $417 million for the company. However, for the year, sales of 34 Canadian centers have grossed the company nearly $895 million. One of the properties Kimco recently sold, Galerias Rio Sonora in Mexico, perfectly demonstrates why the company made an exit from foreign properties. Viewing the property from street view, it becomes clear that the property, though impressive in scale and luxury, is not surrounded by the high income suburban density that Kimco’s 2020 plan describes. Additionally, the elevated security posts in the parking lot are staffed, unlike many in America which are only present for perceived security, suggesting higher crime levels. Continuing up the road, vacant buildings dot the largely undeveloped landscape. Kimco will allocate the proceeds from the sales of each property toward acquiring high quality properties, choosing sites in prime locations for mixed-use development and revitalizing aging properties. Kimco does, however, already lease a small number of offices, usually situated above conventional retail outlets but these properties were always ones they acquired rather than built from the ground up. This is the first time the company will, from the ground up, enter the residential and commercial office markets. Kimco is now developing residential towers, office buildings and entertainment centers in addition to its retail centers. Above, Kimco outlines its estimated costs for ground up development, costing upwards of $674 million to develop six properties. By developing these properties, Kimco expects to add 2.5 million square feet of leasable area, 235,000 sq. ft. of which will be residential. Kimco is banking on the idea that people will live in company owned apartments, purchase most of their products in company leased retail stores and potentially work in company leased offices. This is more commonly known as the “Live, Work & Play Environment,” as stated on the company website. With 72 percent of the company’s annual base rent sourced from shopping centers that already have grocery store anchors, Kimco sees an opportunity to revitalize its centers to reflect this holistic approach of consumerism. Reflecting upon Kimco’s 2020 Vision strategy, analyst Edward Mui from Morningstar notes that, “The simpler, quality-focused strategy will better support long-term demand and decrease risk for the company’s portfolio, ultimately benefiting investors.” He continues to explain that in the near term, the company’s large developments and frequent disposal and acquisition of properties will lead to balance sheets that might appear to be worrisome to investors who are not aware of the company’s plan. Kimco planned five sites for development and five sites for revitalization. In recent years, Kimco completed the redevelopment of 13 sites. All the sites, as stated on the plan, are in major metropolitan areas such as Houston, Baltimore and New York City. One of the more challenging tasks the company faces is selecting properties to acquire and dispose of. While it’s easy to look at current lease revenue and tenant occupancy, it’s extremely complicated to estimate the return on a property given the investment to redevelop the space. Kimco owns two properties that perfectly demonstrate this dilemma. Jericho Atrium, a moderately sized office complex located on Long Island, does not fit the company’s vision of “high-quality” mixed use retail space. However, it is well leased and has a large parking lot for potential future development. Another property on Long Island, recently acquired by Kimco, is the Milleridge Inn. The property features a restaurant, catering hall and a small “colonial” village that includes a number of boutique shops. As a property that carries historic designation, Kimco is extremely limited in its redevelopment but it explored building a hotel or an assisted living community on the property. Dania Pointe, the company’s most extensive project thus far, is located in the Fort Lauderdale metro area. There, Kimco is building a massive mixed use development on the site of an old wooden roller coaster park. It will build 1,100 residential units, two hotels 750,000 square feet of office space and nearly one billion square feet of retail and restaurant space. The space is adjacent to a property Kimco already owns, making it the company’s largest presence in a single community in the country. Though it sold close to a billion dollars in real estate this year, the company has just $140 million of cash on hand. The company’s biggest challenge will be to make sure it has sufficient funding for all its projects in addition to all its current liabilities. Luckily for Kimco, the company has just entered into a revolving credit agreement for $2.25 billion from 19 major financial institutions. Shares dropped to another 52-week low this week despite the company posting in-line earnings per share. Long Islanders love their cars. According to the 2015 American Community Survey, of the 2.8 million people (1.3 million workers) living on Long Island, just 11% of them use public transit (bus + rail) to get to work. A whopping 74% of workers drive alone. While train ridership is generally more widely used, bus ridership on Long Island has always struggled. In total, just 4% of Long Islanders ride the bus daily (Ridership: Suffolk – 22,000, Nassau – 95,000). So why do so few people take the bus? There’s two leading theories when it comes to bus systems: Coverage and Frequency. Suffolk County’s bus system enjoys neither. Busses typically run every hour, though, limited busses arrive 45 minutes apart. That’s fine so long as the system covers a large part of the island. To determine the coverage of the SCT Bus + LIRR, I opened the the system map in Illustrator and changed the route values to be about a quarter mile wide (a commonly used measurement to determine walkability). I then used an image color summarizer to calculate the percent of the image that was red vs green. According to the resulting image, people living in just 28% of the county have easy access to public transit. People living in the remaining 78% would have to walk further than a quarter mile or drive to access public transit. Worse, Suffolk Transit just cut 8 routes due to infrequent use. In 2016, 31% of the island had easy access to transit. Now, just 28% has easy access. You can see the differences if you use the slider above. I would have no issue with this if they increased the frequency of other bus routes after this change but that is not the case. I realize many of these areas of Long Island are not densely populated. To get a better picture, I chose the town of Babylon (Suffolk’s densest downtown) to compare to a city I consider to have fantastic public transit: Ithaca, NY. The resulting images show that the coverage of the two downtown areas are nearly identical. However, the usability/experience of the systems are immensely different. To start, every single route in the Babylon area runs 45 min or worse. The TCAT, Ithaca’s bus company, has headways from every 5 minutes to every hour downtown (with certain rural commuter routes – not shown – running every two hours). Given that frequency, the TCAT’s is able to get a daily ridership of 15,000 people with a population of 103,000 people. This means that 14.5% of the Tompkins County (much of it rural) rides the TCAT while only 4% of Long Islanders ride the bus. I’m not the only one who has taken notice of Ithaca’s devotion to a good transit system. An study published in Science Direct titled Transportation Research Part A: Policy and Practice wrote that providing an oversupply of transit in Ithaca, along with in New York City, has helped create a larger demand for transit. I have personally spent a lot of time in Ithaca over the past 4 years and I absolutely adore their transit system. Like the study concluded, I attribute much of its success to the collaboration with the college campuses, low fare and frequency of service. I could only wish that the Suffolk County Transit would take note. An incredible 97% of the city is can walk less than a quarter mile to access busses. When you add in rail, subway, express busses, ferries and the short headways seen in NYC, it’s no wonder why car ownership is below 50%. Back on Long Island, I strongly believe it would be best for the Suffolk Transit to switch from a coverage system to a frequency system. Currently, if I tried taking the bus between my parent’s homes, it would take an hour and 40 minutes for a 20 minute drive (excluding the o.8 mile walk from my mom’s house and the 2 mile walk to my dad’s house). Since the busses run an hour apart as is, I would only have limited times when I could make the trip. Even if I wanted to take the bus to the LIRR, it would take 15 minutes to get to the train station (no big deal) but since the two systems are no longer connected, it would perfectly miss the train by 10 minutes (forcing me to wait an additional 50 minutes for the next one). Why bother? The busses would be much better used if they had short headways and if they were situated through downtowns to connect residents to stores, train stations and their jobs. Additionally, having busses devoted to downtowns would create larger demand at all hours of the day, not just morning/evening commutes to/from work. For the few people who need public transit services in less dense areas, they can make use of an on demand service system. Ithaca has one of those systems and it’s the same fare for anyone who needs it outside the downtown zone. Suffolk has this as well but the fare is nearly double the cost of a normal fare and it is only for disabled persons. In the end, I’m positive that no advocate of planning/economic development would be against what I’m suggesting here. It all comes down to how the community perceives it: Will it save them tax money and will it create more traffic in towns? Those are unfortunately questions I cannot answer. It’s up to the community to demand more routes/better frequency. I was recently scanning some family photos when I came across a fantastically lined up pair of images that depict the before/during construction images of 4 New York Plaza being built in 1967. The photos were taken from my grandmother’s workplace at 40 Wall St.
After some color adjustments, here they are: (click and drag the arrows to see the differences). I then tried to line up the images to today’s Google Earth imagery. The height is off but you get the idea. There’s obviously been a lot of building since. For those who have never heard of one, an Isochrone is an awesome map that shows you how far you can travel in a given amount of time. The above image, for example, shows how far I could travel (by car doing the speed limit) from my home town in hour increments. I had seen websites that showed you how far you could travel by public transportation (here and here) but they were limited to certain cities and, worse, limited by how far you could travel. Go to: https://iso4app.net/demo.jsp and paste the API key in the designated box. That’s it! The API key you get is only good for 1000 lines and you can only use it for the month before you’d have to pay. Now you can adjust the settings to any distance! If you want it to look like mine (with multiple lines), just uncheck remove previous isoline.